Almost nothing transports you to another time and place more directly than a song or a scent of perfume, but candy that you enjoyed as a child can take you there in an instant. Most of the candies that you enjoyed then originated in the early 1900s. Their popularity nearly 100 years later assures you of a way to stage a successful fundraising event. Gummy bears, Jujubes, Jolly Ranchers, Junior Mints and lollipops are perennial favorites that have a nostalgic appeal that makes them sell well today. Using candy to remind people of happy times is a way to increase sales. The familiar white boxes with green print are as much of a favorite now as they were in the 30s and 40s. Americans were in love with child star Shirley Temple, and her role on the Junior Miss radio sitcom in 1942 gave them a favorite name for her. Linking a famous name to the popular treat gave it widespread acceptance that still exists today. You have a ready market for a treat that is a favorite of all ages, and we offer cartons of 12, 24 and 72 individual boxes of Junior Mints. Our line of gums and mints includes bags of LifeSavers, Jumbo Mint Balls, Rainblo Bubble Gum, assorted flavors of Dubble Bubble, Dentyne ice, Beeman’s and Wrigley’s. For a quick trip into yesterday, include Clove chewing gum for a nostalgic accent. Watching dancing bears perform in 18th century street fairs in Europe inspired a German candy maker to create gummy bears. Popular enough for a trip across the ocean, the sugary and chewy treat came to America in the early 1900s. A booth at a craft fair in the spring or fall can produce results for your fundraiser when you offer them for sale. Renaissance fairs today are reminiscent of street fairs in Europe, and people have plenty of time to enjoy turkey legs. You can present your wares as a pleasantly sweet alternative. Our product line contains the most popular Trolli specialties, including Gummy Bears, Squigglers, Peachie O’s, Strawberry Puffs, Brite Octopus, Classic Bears and Brite Crawlers. Our Sour Patch Watermelon and Swedish Fish add to our presentation of gummy candies for every taste. Everyone remembers having a lollipop as a child, and you can capitalize on their taste for a candy that continues to please young and old alike. Some candy making legends contend that an American company popularized the current form of the treat that was enjoyed in ancient cultures. An anglicized version of an Arabic word for sugar coated treats appears as our word for candy. Using sticks to stir the mix for hard candies, the owner of a candy making company found that his children enjoyed eating the sugary substance that stuck to the stirs. By 1906, he started marketing the sticks. 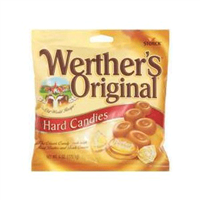 Popular brands in our hard candy line include Charms, Jolly Rancher, Columbina and Werther’s Originals. An occasion that allowed you to have a big bar for yourself alone probably stands out as a memorable one, especially if it was accompanied by a sugary drink. A huge bar of Hershey chocolate was savored for each bite, and saving part of it for later likely did not occur to you. The same thrill of filling your taste buds with creamy chocolate is still as rewarding now as it was then. Our bag of licorice Twizzlers appeals to candy connoisseurs everywhere, and our Peppermint Pattie offers an equally delightful taste sensation. We have full size bars in brands that include Pay Day, Nutrageous, Mr. Goodbar and Fast Break in addition to Hershey’s, York Peppermint Pattie and Junior Mints. Sports complexes in communities across the country reflect the popularity of providing healthy activities for children, and many have lights for evening activities as well. Parents and friends of children who participate in baseball, football and soccer attend events every weekend in spring, summer and fall. By making arrangements with event organizers, you can occupy a booth or set up some tables to display your wares. Many merchants allow sponsors of fundraisers to sell products on their premises, especially if the fundraiser is for a worthy cause.